Facebook has started testing the dark mode feature for Messenger in some countries. The dark mode will help your battery life, as well as less stress. If your smartphone has a bright screen, browsing Messenger at a glance in the morning may make you feel awakened by a flash explosion. Jane Manchin Wong twitted that this problem may soon become obsolete. 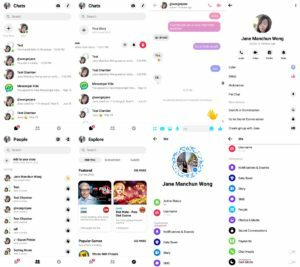 Also said Facebook’s popular messaging application of Android version’ dark mode ‘is been tested. 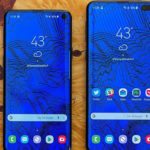 The test is currently available to users in certain countries. Although the test did not include the US or Australia, it was not stated which countries they opted for. The dark mode feature is not for testing in India’s messenger. 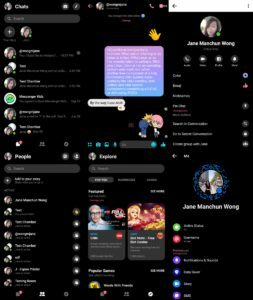 The Dark mode test comes shortly after the minimalist user interface, which shows that Messenger reduces the number of tabs and improves some design work. It is not at clear when and where the dark mode of Messenger will be distributed. But we will notify you when it happens.